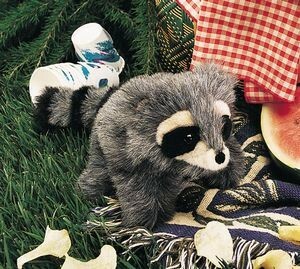 Chubby cheeks, a ruddy complexion and racing stripes greet you when this friendly fellow climbs aboard your hand. 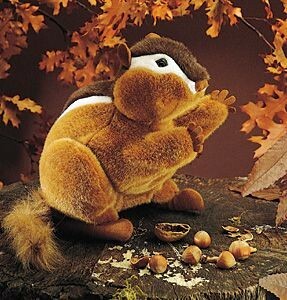 When you work his arms, he can hold a nut or tidy his face up after dinner. Use your opposing hand to flick his tail for expressive gesturing. He measures 11" long by 6" wide x 11" tall. Furry plush puppets are surface-washable only.